In order to keep pace with never ending demands of the customers, our company is instrumental in offering Touch Screen Wrist Watch. FM Radio, Media player, Bluetooth, COMPASS, MICRO SD card, supports GPRS multi languages. - Synchronize with iPhone Android in Caller ID, Directory, SMS, Mails Date & Time. 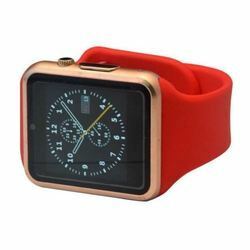 Keeping the diverse requirements of the customers in mind, our company is involved in offering superb quality range of Smart Watch Phone. We are engaged in offering Watch Phone. Our reputed entity is engaged in supplying Irist Watch Phone.